The National Park Service is closing turf fields and cancelling events around the Washington area as the region prepares for heavy rainfall and braces for the possible effects of Hurricane Joaquin. The park service says people wondering about specific events on Friday or over the weekend should reach out to organizers. Many events have already been cancelled. Meanwhile, park rangers and U.S. Park Police are clearing storm drains, setting up flood barriers and doing other prep work for major rainfall. Some fountains on parkland are being turned off. 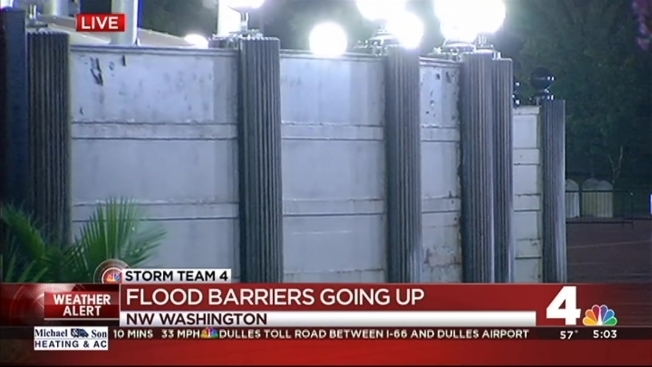 The storm could provide the first test for a new levee that's meant to protect downtown Washington from a flooded Tidal Basin. The levee is on 17th Street on the National Mall.